From left to right: Wayne van der Bank, Jeanluc Cilliers, Eddie Fouche, Bradley Thaine, HP van Schoor, Julian Redelinghuys. Bytes Document Solutions (BDS), an Altron company and the largest Xerox distributor in the world, has extended its sponsorship of Xerox Lions Learning Hub in line with the Xerox Lions sponsorship for the Super Rugby and Currie Cup tournaments. The Learning Hub was launched in 2017 following the announcement that Xerox will renew its Currie Cup and Super Rugby sponsorship for another three years. This will take the Xerox Learning Hub and the Xerox Lions' combined title sponsorships through to the end of 2019. 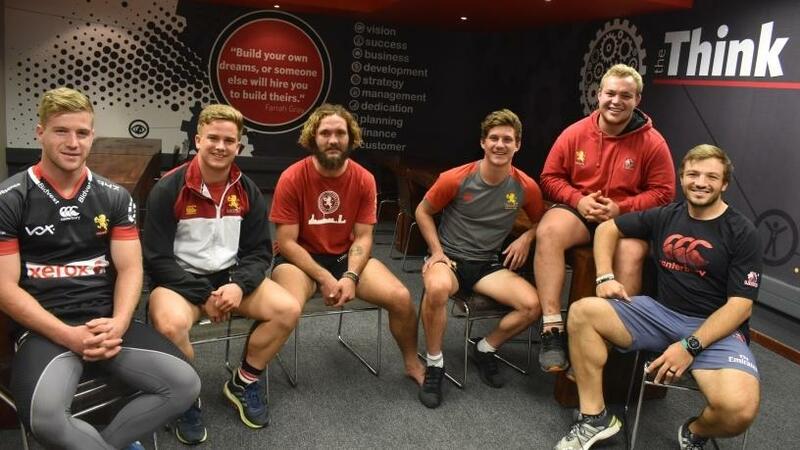 The Xerox Learning Hub is a long-term development programme for junior players within the Lions Rugby Union that support both their current performance demands and their future personal and professional goals. It provides players with the essential skills needed to forge a career beyond the game. The aim was to have SETA-accredited qualifications and to ensure individuals on the course have the opportunity to work with mentors on specific topics. Education, career and personal guidance are given a high priority in these programmes and lifestyle management is an important element. Emphasis is placed on subjects like soft skills and life skills, as well as leadership, presentations skills, how to manage time and stress, resolving conflict and building media relations. 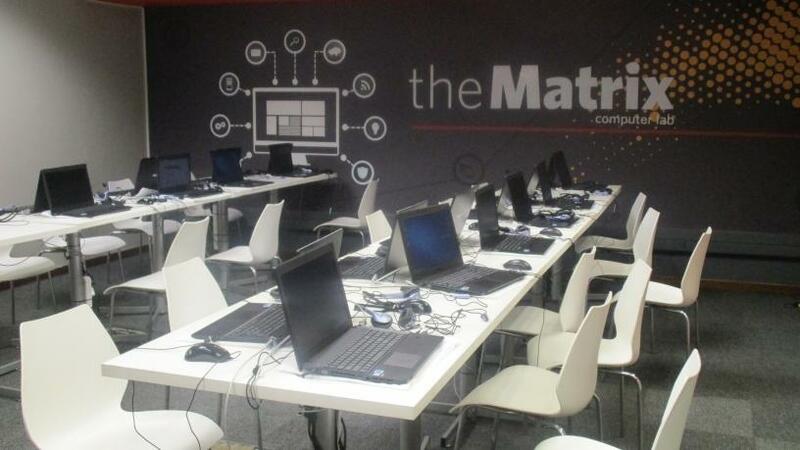 The Learning Hub also teaches computer literacy, entrepreneurial and business skills, maths literacy and basic economics and business administration skills. It is essential that the skills taught in this course assist the players in the business world. The learners come together at set times during the week for lessons and lesson preparation, but otherwise they are on the field. The training takes place at the Emirates Lions Stadium in a fully-equipped classroom. The players' personal programmes for studies, training and playing are worked out months ahead. Part of this is to ensure that each player develops the life and business skills that will enable a successful transition from being a full-time sport player to a career in the wider commercial world. It is anticipated that the improved confidence levels obtained from the classroom by these players will fast track many of them for South African stardom. Johan Basson, MD of BDS, reaffirmed his commitment to this programme and to sports development in the country. He believes that sport breaks down barriers and positively changes young lives. "We have sponsored the Lions for many seasons since 1993, and have a rich and rewarding relationship with the Golden Lions Rugby Union (GLRU). We wanted to take this sponsorship to a whole new level and in doing so, give back to rugby, this country and to sport as a whole. BDS extends the Xerox Lions Learning Hub in line with its Xerox Lions sponsorship for the Super Rugby and Currie Cup tournaments. "We were very excited when this programme started and are pleased with the progress that the players and learners are making. "We have played a vital role in streamlining our players' future career pathways and I am confident that we are providing a long-term approach to maximising individual potential and involvement in rugby. It has certainly made the sport more appealing and attractive. There is a huge amount of research that suggests personal development work with athletes can have a significant impact upon performance. It can mitigate stress, improve their home life, their relationships and generally increases their all-round sense of well- being. We believe that there is benefit for everyone in this plan. We are proud to be able to invest in the personal development and long-term futures of these GLRU players. We already know that they have incredible talent on the sports field and our aim is to continue to help them to develop a similarly great set of skills with special knowledge that will see them through the rest of their lives as well," Basson concludes. Rudolf Straeuli, CEO of the Lions Rugby Company, says, "This hub was created with the overriding ethos of developing well-rounded rugby professionals and to ensure that they are not solely defined by their sporting performances. There was certainly a gap in the market and we believe that this programme will equip junior players with the skill set that they can use beyond their rugby career. All of us at the GLRU embrace and understand the need to develop our players as people and not only as rugby players." The programme is managed by Bytes People Solutions, a division of Altron. Bytes People Solutions has a track record that spans over 20 years specialising in business process outsourcing, skills development and enabling technologies and has become a trusted adviser to many blue-chip organisations in South Africa and Africa.